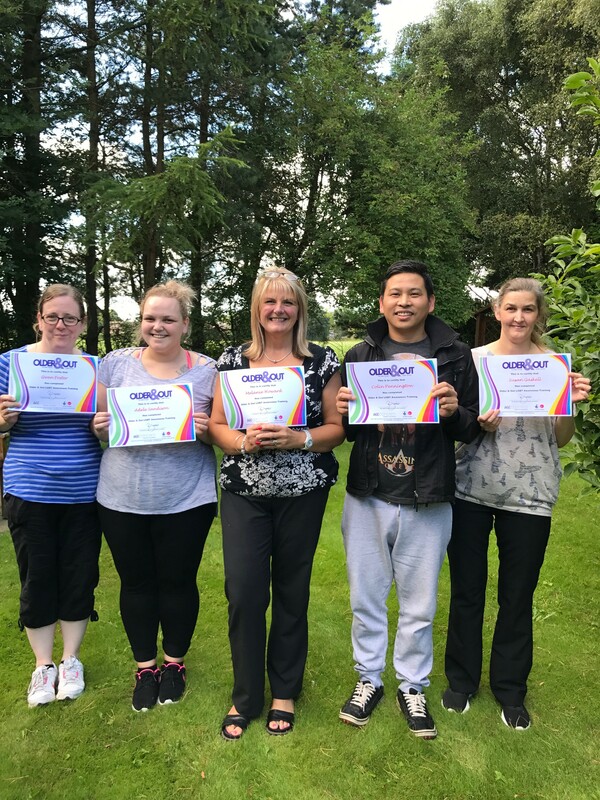 Lancashire Care organisation, Stocks Hall Nursing & Care Group have recently embraced and completed Older & Out – LGBT Awareness Training. The training given by Age Concern Central Lancashire, seeks to increase awareness and give greater understanding of (especially older) lesbian, gay, bisexual and transgender people. Staff commented on how good the training was. They said it helped them understand older LGBT people more fully and helped them apply what they have learnt on the course, to their caring roles.